The world of business has now expanded to e-commerce. While this new business opportunity offers better sales and profit, it is also a lot more challenging to handle in the long run. Sure, it might seem simple. The goal of technology, after all, is to make our lives easier. But the efficient use of e-commerce technology requires skill and mastery. This doesn’t mean that people who aren’t complete geniuses about technology can’t engage in e-commerce. In fact, Listing Mirror makes sure that people from all around the world can engage in good business through e-commerce. Listing Mirror provides its customers with a multi-channel product listing platform that streamlines and simplifies how you sell products through different e-commerce channels. Among its core features are product listing, inventory synching, order fulfillment, and advanced inventory management. How Can Listing Mirror Help? Listing Mirror can be beneficial in a ton of ways, but primarily, its features revolve around product listings, inventory, and order fulfillment. In terms of product listings, this service automatically syncs your listing information to all e-commerce channels you participate in. In line with this, selling your products becomes much more manageable. You no longer have to rumble through several files to get your hands on your listings. It’s not only your listings that becomes manageable. Listing Mirror keeps a record of all the images you use in your products as well. Another great feature Listing Mirror provides is manageable inventory. Whether it’s an online or physical business, keeping inventory has never been an easy task. Listing Mirror, however, makes it convenient for you through services like central inventory management, price and inventory syncing, and many more. Keeping track of orders is practically the hardest aspect in the world of e-commerce. You need to check back with logistics and the customer from time to time just to ensure things are going smoothly, and also to constantly ask for updates. With Listing Mirror, however, your life becomes much easier since tracking info updates are automatic. What Are The Listing Mirror Features People Love? When it comes to e-commerce businesses, you usually need to the inventory manually as opposed to having a physical business setup where it’s easier to come up with a system to keep things organized. Listing Mirror lets you access several types of reports related to sales, inventory history, and change history to make sure that you don’t mistakenly sell items you don’t have. We know that an online seller has to log in to multiple e-commerce platforms to fulfill a particular order. Listing Mirror allows you to manage all orders right from their platform. In line with this, the only thing left for you to do is send the package to whomever customer ordered the item. You usually have to create listings manually by going to different websites to publicize the product you want to sell. The job of Listing Mirror is to let you automize everything. You create a listing and you can post it on all your e-commerce platforms all at once. Who Are The People Behind Listing Mirror? Brian Wawok and Erin Wawok co-founded this wonderful business service. It started with a vision to enhance how people do business. Since we already have e-commerce, which perfectly portrays that role, they decided to focus their attention on other alternatives to make e-commerce easier. Listing Mirror was the solution they created. Of course, Listing Mirror would have remained to be only a vision if it wasn’t for their hard work and dedication. It wasn’t long before they finally brought together the dream team for the company. They now have Olivia Malnory, James Hurstel, Caleb Worm, Weston Malnory, Matthew Forst, Nicholas De Fina, and Casey Mackey as helpers and making e-commerce a better business opportunity for everyone. The founders originally created Listing Mirror to make the life of e-commerce people easier. In line with that, they made it a point to be flexible in terms of payment procedures. Listing Mirror offers two packages for their services. There’s the professional package which costs $ 99 per month and the enterprise package which you can purchase for $599 per month. While there’s a distinct difference between the two packages, rest assured, both deals can provide the right solution. Why Should You Choose Listing Mirror? Time is gold. This is especially true for the case of e-commerce people. You should definitely choose Listing Mirror because it lets you make good use of your time. You might be able to do the things Listing Mirror can do for you manually, but what you need to take into consideration is the time you save along the process. 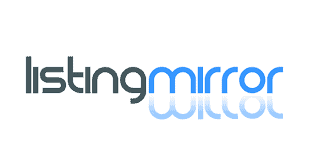 Listing Mirror: The All-In-One Solution For E-Commerce Businesse Overall rating: 0 out of 5 based on 0 reviews.